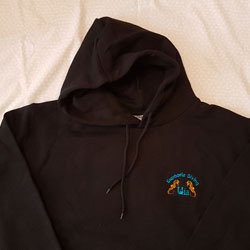 Black Hoodie with the distinctive Euphoria Diving Logo embroidered on the front. 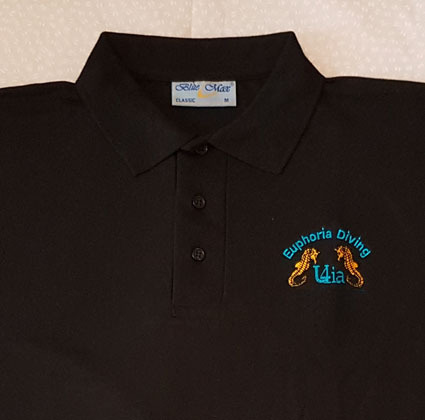 You can have extra text embroidered under the logo, your name for example, (up to two words). If you choose this option then please fill in the personalised message box on the single product page. This is accessed by clicking the name of the product.